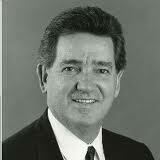 Yesterday I pointed out the Agent John Connolly came to Boston in 1972, was put in the organized crime squad, and was made responsible for handling Top Echelon Criminal Informant (TECI) Steve Flemmi who had been informing since 1965 which was before Connolly joined the FBI. In 1975 he would list James “Whitey” Bulger as an informer and shortly thereafter he became a TECI. At that time, there was no showing that unlike Flemmi Whitey had been involved in any type of murders. How was it Connolly was dealing with Flemmi and Whitey who were notorious criminals? Reading Boston media you would believe he had a secret side deal with them, that is, he was running rogue doing his own thing. The FBI gladly put him out there to stand alone while everyone fired shots at him; it failed as an organization to tell the truth. The truth was, and is, the FBI had developed a corrupt program called the Top Echelon Criminal Informant program (TECIP) that it has tried to hide from the public. It has never been held accountable for having done this. It still runs it today. The only way you can have a long-term relationship with a person who is engaged in criminal activity at a major level is to protect that person. There is no other way to keep the person in the position that he is in other than making sure others do not bother him whether they be police or criminals, investigators or informants. That is why the FBI set up a system whereby the handler of a Top Echelon Criminal Informant (TECI) would be notified of any inquiry about such TECI made over the national Criminal Justice Information System (CJIS) run by the FBI and used by state and local law enforcement throughout the country. It also required within house that the handler be notified of any information about his TECI gathered in by other FBI agents. This was done because the FBI wanted to protect its TECIs because of the time and energy and money it invested in them. The idea was to keep the TECI active and keep them on the street so they could keep furnishing the FBI information. As one agent intercepted by the Massachusetts State Police in a legal wiretap operation was heard saying to his TECI, “my job is to keep you safe.” Fortunately he did not know the State Police were on a phone used by his TECI for if he did the State Police wire would have come a cropper. Connolly’s job at the FBI was to keep his TECIs safe. When it became public knowledge that he was doing this the FBI deserted him. It pretended it had nothing to do with him doing that. It corrupted itself and still is doing it by keeping Connolly in prison for doing his job. It is truly a shameful episode in the FBI’s history. Before Connolly was tried in 2002 Mueller was the Director of the FBI. He knew the rogue cop theory was a fraud but helped it proceed. He could have stopped it. He withheld Fitzpatrick’s exculpatory evidence in the Florida trial and let Rico be falsely arrested and die in prison. He along with Comey and Obama lied about the Boston Marathon bombing. He is a person of bad character. 2. You are right about the Florida Courts. They are not honest. A Federal Judge could be on the level. So that is Connolly’s only hope. You sound like an echo chamber. Mueller had no control over the prosecution of John Connolly. Fitzpatrick had no exculpatory evidence. Read his book. See his conviction for perjury. Fitzpatrick was one of the corrupt FBI agents who disclosed to the Boston Globe that Whitey was an informant. He all but said Bill Bulger was corrupts pretending he was involved in investigating him on things other than 75 State Street. Rico was done by a Tulsa Oklahoma cop who Mueller had no control over. There is a book called GHOST:My Thirty Years as an Undercover agent by Michael McGowan. In his book he states that at one time he was under investigation for stealing confiscated drugs. He is shocked and deeply hurt how some of the Feds treat him even though he worked with them for years. he is shocked at how he is put through interrogation etc etc. Whats surprising to me is how he resents those around him after he is exonerated. he is not innocent until proven guilty. if anything its eye opening just how vicious, nasty, and cold A LOT of law enforcement employees are. Jerome, Thanks – I will check it out. It seems a lot of FBI agents run from helping others because they are more concerned with themselves and getting through the day without too much bother. That’s a old story that people run from helping others if they think they may be diminished in doing that. Matt: I’m glad to see you keep writing about Connolly. I think he should be released from prison immediately. My questions are these: Is there any kind of plan to secure his freedom, and is there anything I can do to help? I seem to recall that the Innocence Project in Miami had taken an interest in his case. Any developments on that front? From what I can see if there is a plan to get Connolly out it is not working. The Innocence Project did handle his appeal. The decision upholding his conviction is plainly outrageous. That four judges agreed with it tells me there is little chance of the Florida court doing something for him; add to that his parole date is when he is 99 years old the only hope would be in federal court. I’m not up to date on the most recent developments. I see the big problem is the confusion as to where the responsibility lies. I suggest it is with the FBI but the FBI and its supporters want to suggest it is with the Department of Justice. For the FBI to accept responsibility it has to admit that its Top Echelon Informant program put Connolly in the position where he had the right to do whatever was necessary to protect Bulger and Flemmi including tipping them off about people who were informing on them, about wiretaps aimed at them, and about other dangers they may face from other law enforcement agencies or fellow criminals. It won’t do that. Connolly’s main hope may lie in the case before the Supreme Court where the issue of double jeopardy is being considered. Connolly never seemed to have raise that issue for some reason; it seemed to me it did not require much thought to do it. Connolly was found not responsible in Boston for what he was convicted of doing in Florida. The only other approach is to have brought an action in Federal Court (like was done for Ruby Ridge) to say he was operating within the scope of his duty so the state had no right to prosecute him. Again, the FBI is pretending that is not the case with all its CYA forms that agents routinely ignore. Connolly will die in prison if the truth is hidden which seems to be what the FBI wants to do. You are correct, the FBI, especially the DC Office which came up with the phony Rogue Agent Theory, did sell Connolly and RICO and others like JIm Ring down the drain. Remember when Wyshak appeared before Judge Wolfe who issued his 600 page decision which was basically and indictment of many FBI agents as rogues, Wyshak was supposed to be defending the FBI, instead he was selling these agents out . . .he let Cardinale smear them with as much dirt as Cardinale’s client Flemmi could throw at them . . . .Why? . . . .because down the corridor in the same Federal Courthouse, the FEDS, the STERNS GANG, Wyshak’s team were seeking indictments of their own against so called Rogue AGents . . . Muellar was the head of the FBI in 2001 and was part and parcel of this Rogue AGent Scheme . . .he must have greenlighted it . . . Yes, Hutch, I do go on . . .
You reinvent history. You have as bad guys the people who were good and as good guys the people who were bad. Reading the way you think you seem to suggest the U.S. attorney in Boston Donald Stern’s should never have gone after Bulger, Flemmi, Salemme, Martorano, etc. Those were the guys they sought indictments against. Those were the guys they were prosecuting when Flemmi came out and admitted he was Connolly’s informant. Remember Connolly never spoke up when Flemmi told his lies. As a word of caution, be careful not to libel anyone with your broad brush accusing people of committing crimes without a basis for doing this. You have to get your facts straight. Connolly was indicted in 1999 which was long before Mueller was in charge of the FBI. Your are wrong/. There is nothing inherently corrupt about the Top Echelon Informant Program as there is nothing inherently wrong with DEA or state Drug Cops working undercover with known drug pushers to take down bigger pushers. The TEI program works because the Informants are told no violence, no murders . . .in New York a suspected murderer informant was terminated and arrested and prosecuted . . . .
Undercover Work is dangerous . . .whether in DRUGs or Organized CRime . . .and the Informants you get usually have committed evil acts, even murder in the past . . .every made member of the MAFIA is said to have killed someone . . . .So, that’s the past . . . .the current Informants are explicitly told No Violence, No Murders, and no one in the FEDS protects any informant from MURDER/Violence ARrests or MUrder/Violence Investigations . . . .I’ve only been studying this issue since about 1997 . . . .
You cannot allow criminals to commit crimes on a long term basis and protect them. That was the essence of the Top Echelon program. The FBI has no right to decide who will live or who will die just to get information. Undercover officers don’t kill people. You are confused about what the informants are told. The FBI put Jimmy Flemmi on as an top echelon informant knowing he planned to be the biggest hitman in New England. Sure they had forms that said no violence or or murder but they were only for cover. Are you suggesting that Connolly did not know Flemmi and Bulger used violence to remain in power? Did he think people loved to pay them tribute and volunteered to pay that? 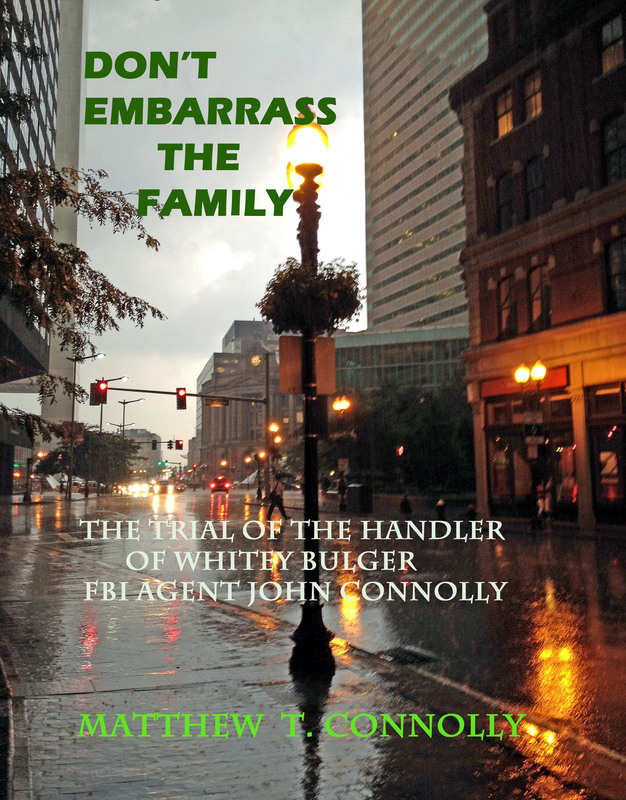 Did you ever talk to people in Southie and ask them if they feared Bulger and Flemmi. Have you read about other top echelon informants throughout the nation who also committed violent crimes and remained as informants? Do you really think guys who are at the top level of criminals who are giving information on other top level criminals stop their violence because the FBI brings them on as informants? Why would Whitey and Stevie Flemmi stop brutalizing people just because the FBI wanted them to give it information?